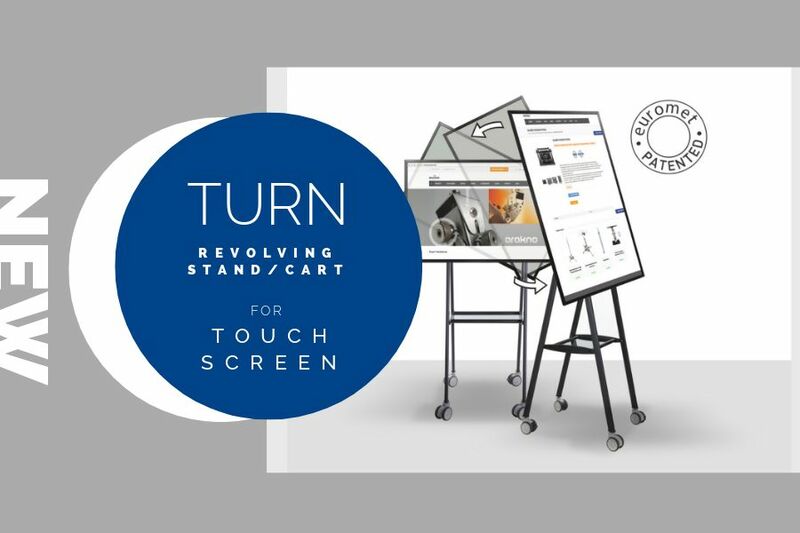 The absolute new product in 2019 is TURN, the support for a cutting-edge touch screen that allows the screen a perfect 90 degree rotation. TURN is designed and produced entirely in Italy as all our products and solutions. 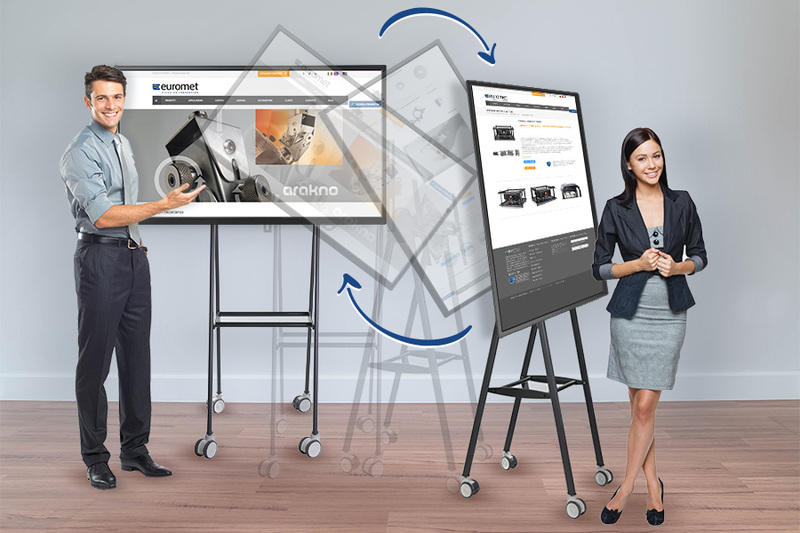 The new revolving professional stand / cart has been designed to support monitors and touch screens of all the best brands. 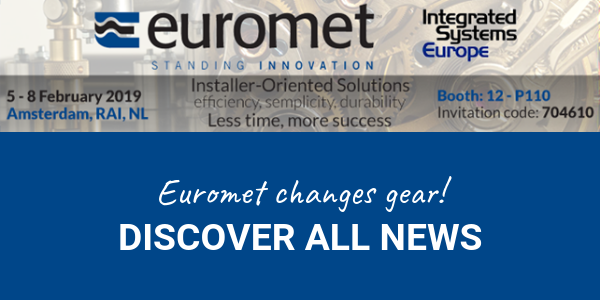 Thanks to the new patented Euromet system, Turn has a constant and regular rotation of the screen by 90 °, with horizontal and vertical positioning of the cab without a fixing mechanism. Below the monitor a shelf is included as a support solution for keyboards, laptops and interactive pens. Absolute quality and durability are guaranteed with all Euromet products. Its sturdy structure is conceived in such a way to guarantee total reliability of loading and stability in compliance with current regulations, especially on anti-overturning. TURN is an ideal support for meeting rooms, conference rooms, classrooms, television studios and offices in general. This support has been equipped with wheels and made with dimensions designed specifically to allow easy transport within any environment. For more information, for realizations and fittings or to request an offer, contact us.